Add some defense and detail to your Norse fighters ensemble with the Viking Warriors Shield in Red and Cream. The two colors alternate in wide bands and spiral from the polished, 14 gauge steel shield boss attached to the center. Matching steel borders the shield rim. On the back, a leather arm strap helps it stay on the warrior it defends, and the grip provides a secure hold. 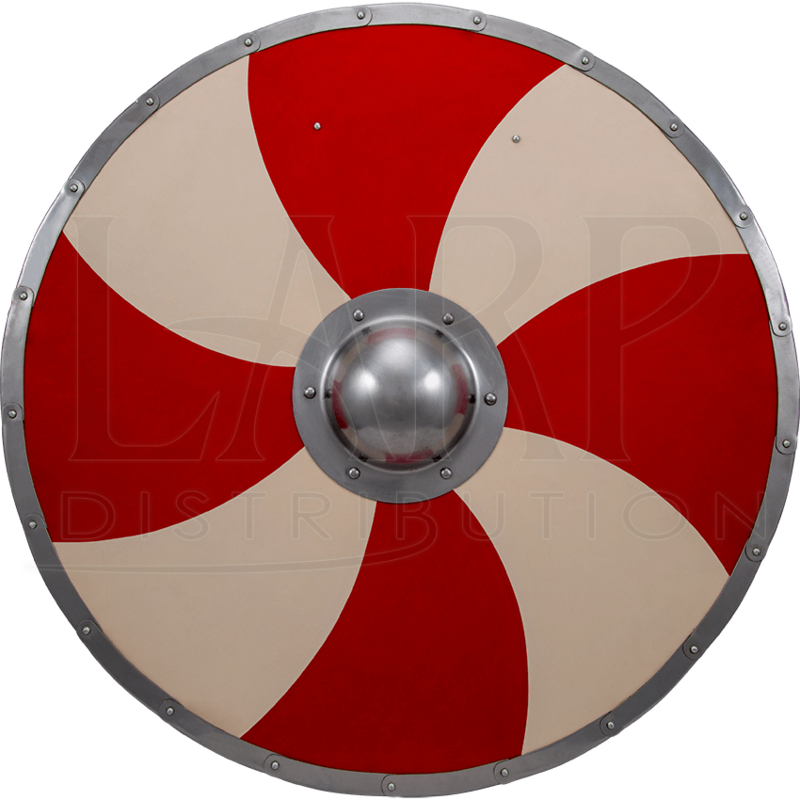 For Viking reenactments and light medieval combat, this wooden Viking shield makes a fantastic choice.